More than a week ago, the international model of the Galaxy S3 GT-I9300 received a controversial update to Android 4.3. I’m saying controversial because it was deeply rejected by most users that installed it. Starting with the fact that at first it was released just to some Vodafone carriers around Europe and ending with the fact that those who installed the update had serious issues such as massive battery drain, wake up lag and others. A week after, Samsung finally decided to stop the updates due to the serious bugs encountered. Nothing has been heard about since, and we are still waiting for a stable update to be released. Meanwhile, we find out that T-Mobile started the Android 4.3 update for their Galaxy S3 as well as Galaxy Note 2 which received Android 4.3 for both the 3G (N7100) and LTE (N7105) versions. This will surely not have a good impact on Samsung’s image, because the Galaxy S3 is the device with the most sales in the history of Samsung, so imagine the multitude of unhappy users with Samsung’s services. We will inform you as soon as the update process is restored. 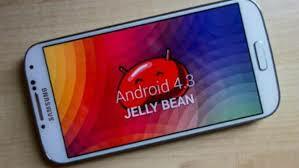 Meanwhile we will wait for any news related to the Android 4.3 update for Galaxy S3.